Accurate Garage Door offers top quality garage doors and garage door openers throughout the Las Vegas area. We are professional garage door installers with highly experienced technicians. Garage Doors and Openers are built to a higher standard…Martin Garage Doors offers the ultimate in style and color without compromising safety. With over 5,000 garage door color combination choices, you are able to customize your garage door with a distinctive look and feel. 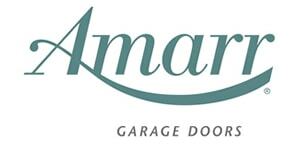 For seven decades, Martin Door Manufacturing has manufactured the best quality and longest lasting garage doors for homes & businesses from around the globe. A family owned company that has been in business since 1936, Martin makes steel sectional garage doors that come in five standard colors and 77 powder coat color options as well as real copper doors and Aluminum Carriage House Doors. 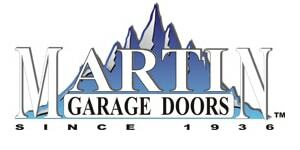 Martin Garage Doors openers come in both trolley and jackshaft mounting. 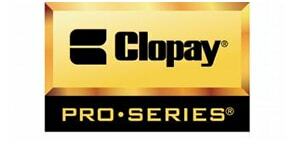 Clopay Building Products, a wholly owned subsidiary of Griffon Corporation, is North America's largest manufacturer of residential garage doors and a key player in the commercial overhead garage doors segment. Clopay Building Products has played a leading role in establishing and advancing garage door industry technical standards and national building codes with innovations such as our patented E-Z SET Spring System® and our Safe-T-Bottom Bracket®. Every day the people of Clopay Building Products – from the assembly line to our nationwide network of distributors – work to meet and exceed the diverse needs of homeowners, architects, builders and businesses. Good Housekeeping Seal: The Clopay brand has the distinction of being the only garage door company to earn the Good Housekeeping Seal for its residential garage doors. Amarr Belt Drive Openers: The quietest. Choose a belt drive when silent operation is most important. Amarr Chain Drive Openers: The most durable. Choose a chain drive for heavy doors, detached garages or very cold climates. Amarr Direct Drive Openers: Wall mount rather than overhead. Ideal for unusually low or high ceilings. Chamberlain® garage door openers are strong, durable, and made by the world's largest manufacturer of garage door openers. With more than 40 years of experience, we've revolutionized the industry and have played a vital role in taking the garage door opener from a nice-to-have "extra" to a home convenience necessity. Each model offers the ultimate in safety and security features, and is available with innovative accessories designed to make home access even more convenient.